It’s now been about 6 weeks since I bought myself a small, 8 ish inch, tablet. My overriding method of selecting one was easy. I went into PC World and saw what was cheap and by a known manufacturer. 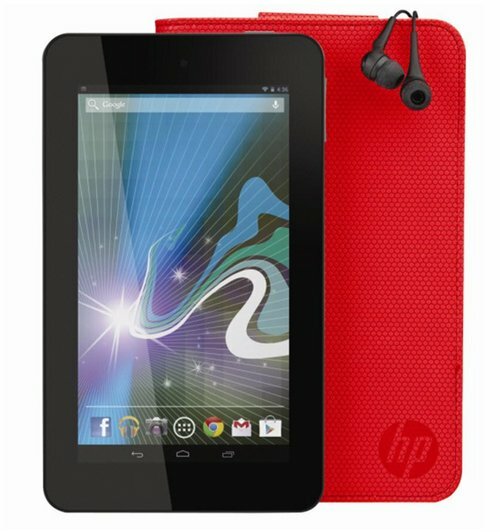 That’s what drew me to the HP Slate 7. I’ve had HP machines for over a decade. From PDAs and a trusty laptop I thought that it would be great. How wrong I’ve been. The screen resolution at 1024×600 means the pixels are, almost, square. It suffers from, best described as, screen burn. It’s most notable when switching from a light to a dark screen. The machine is “optimised for beats audio”. Why would someone purposely buy those overpriced headphones to plug them into a machine that could cost a third of what you paid for your headphones! The battery life is dreadful. I can get about a week of use from my Sony tablet [using it in more intensive applications than a book reader.]. I’ll be lucky to get two from the Slate. Once or twice I’ve not even had 12 hours use from it! There is no GPS module, even if some around the same price do. Older version of Bluetooth [version 2.1]. Not that vital for transferring small files but for using a phone for your internet it may cause issues. Lower specification WiFi chip set means that, holding it next to, sometimes, older device it gets a better signal. It seems to randomly lock up on me that requires a “hard” reset to get I back. On the plus side, it is well built and it came with its own case. there is a problem with that but that’s more because I’m left handed… it does feel that HP has spent money on the design and materials of the case and then had a budget crunch for the internals. dropping useful chips or replacing them with older, and therefore cheaper, ones. All I can say in closing, is it does what I wanted it to do. The ability to read books on it. It doesn’t do it all that well. I’m going to give it two scores. one as it is and one if it had one more chip installed – that being GPS, so I could use it as a nice sized sat nav unit with Google maps tied to my phone. prices around £100 from your local electrical superstore. In conclusion. only buy this if you can’t afford anything else or want it for quite limited range of uses. Get a Samsung instead as its not that much more expensive.